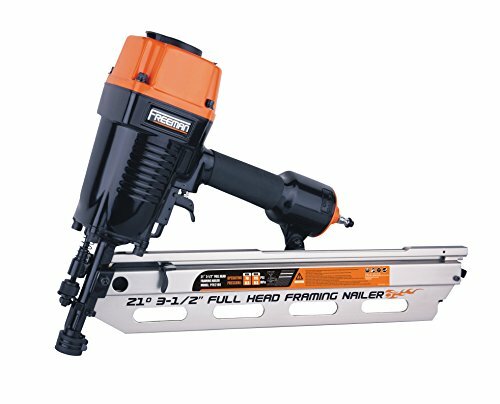 For this post, I have put together a collection of the best framing nailers currently available. Framing nailers are typically referred to as simply "nail guns" and use fasteners mounted in long strips (similar to a stick of staples) or collated in a paper or plastic carrier, depending on the design of the nail gun. 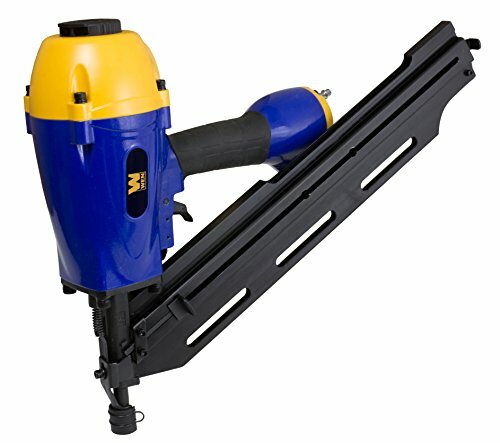 Some full head nail guns, especially those used for pallet making and roofing, use long plastic or wire collated coils. Some strip nailers use a clipped head so the nails can be closer together, which allows less frequent reloading. Clip head nails are sometimes banned by state or local building codes. Full Round Head nails and ring shank nails provide greater resistance to pull out. The largest sizes of conventional collated fastenings are the clipped head and full head nails which are used in framing, fencing and other forms of structural and exterior work. These nails generally have a shank diameter of 0.11 to 0.13 in. (2.9 to 3.1 mm) although some manufacturers offer smaller diameter nails as well. 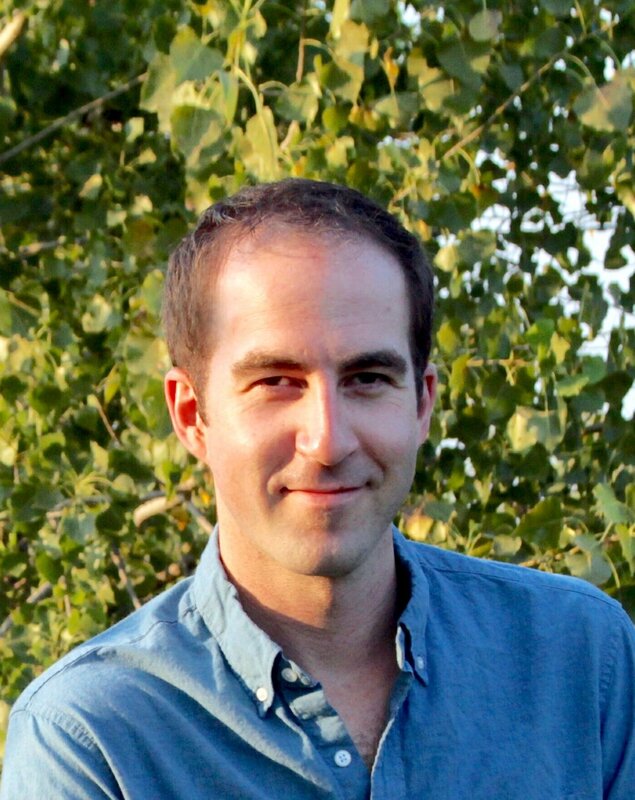 General lengths are in the range 2 in to 1⁄3 in (50 to 90 mm). Shank styles include plain, ring annular, twisted, etc. and a variety of materials and finishes are offered including plain steel, galvanized steel, sherardised steel, or stainless steel depending on the pull-out and corrosion resistance required for the given application. The following framing nailers use the latest innovative components to meet your needs and help to ensure you do your best work. So here is my list of The 10 Best Framing Nailers. New In-Can Fuel System is easier to install for reliable use. Lighter weight - only 4.5-Pound (with battery) for better comfort and control. Pro-Grade Depth of Drive Adjustment. New In-Can Fuel System is easier to install for reliable use and can also be used with Paslode' s older 16g Angled Finish Nailers. Heavy-duty rafter/belt hook for taking jobsite abuse. Straighter handle design for increased wrist comfort, and improved finger grip comfort. Two nailers in one: includes two quick change nosepieces to convert tool to either framing or metal connector applications. Patented push button adjustable depth guide sets nails to desired depths. Adjustable rafter hook allows users to hang tool on rafters and joists. Thread Fitting Type: 1/4" NPT. Weight 8.1 lbs, 3.67 kilos. 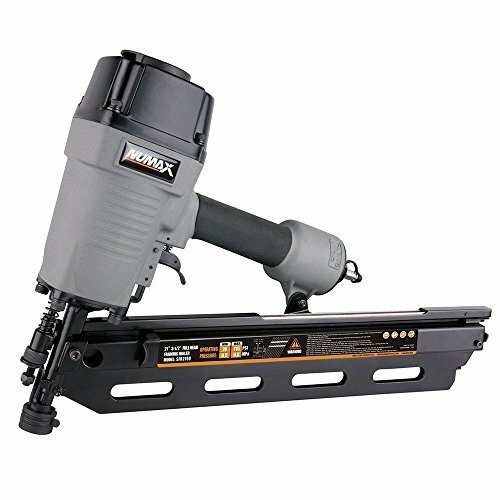 The NuMax SFR2190 21-Degree full-head framing nailer can be used for variety of applications, such as framing, roof and wall sheathing, siding installation, wood box assembly, and fencing. Shoots 21-Degree nails ranging in size from 2 to 3-1/2-Inch, and features a 360-Degree exhaust. The body of this gun is constructed of die-cast magnesium for low weight and durability, giving it the same feel and dependability as the most expensive guns on the market. The SFR2190 also has interchangeable triggers for single or contact firing. The driver blade is constructed of very tough heat-treated one-piece hardened steel. 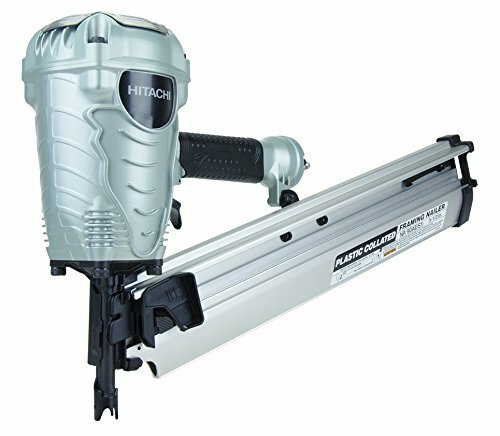 The NR90AE(S1) framing nailer drives plastic collated nails from 2" to 3-1/2" in length and features Hitachi's next generation Industrial Design. The newly redesigned head guard allows for a faster and easier disassembly process, saving you valuable time during tool maintenance. The NR90AE(S1) weighs only 7.5 pounds, making it easy to use all day, while still providing the power of bulkier, heavier nailers. A selective actuation switch adds the convenience of being able to quickly change between bump or sequential fire and the tool-less depth of drive eliminates the need to adjust the pressure at the compressor. The simple two-step loading makes fastener replenishment quick and easy, reducing downtime. 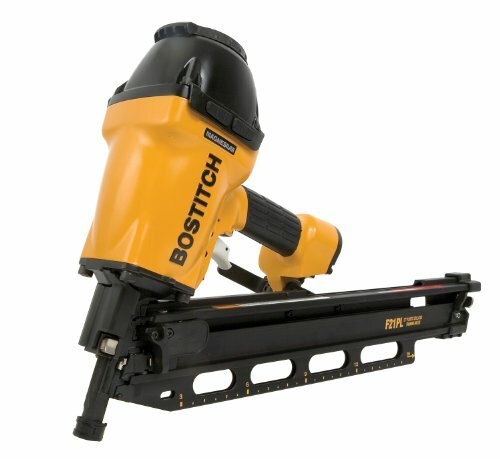 The Bostitch LPF21PL Low Profile Framing Nailer provides the user with power and efficiency. 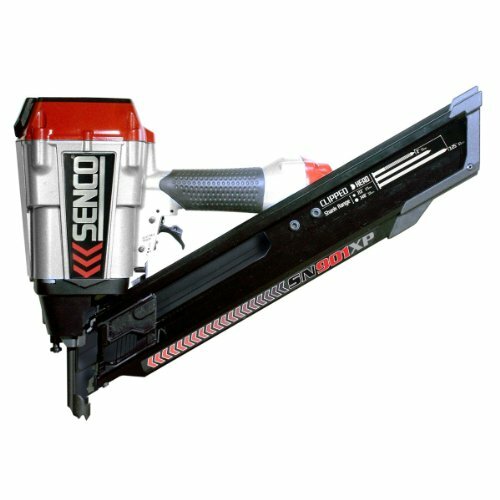 The low profile design allows the nailer to be used in small areas. The versatile trigger drive selector enables the user to select from single or multi-drive modes. The fastener’s depth is controlled by the tool-free depth drive adjustment. 840 In-Lbs of pressure is concentrated to powerfully send the fastener into the material. 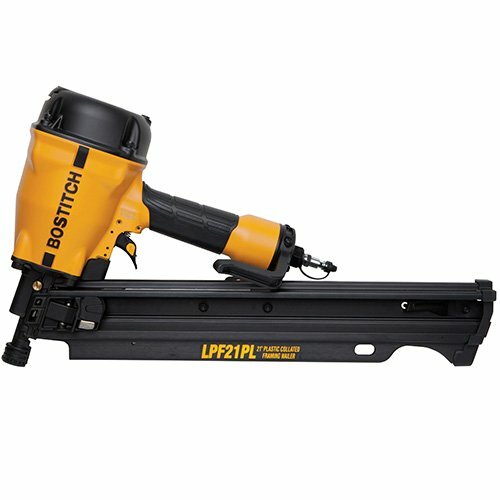 Power and versatility make this nailer an essential tool for the jobsite. The Freeman PFR2190 21-degree full-head framing nailer can be used for variety of applications, such as framing, roof and wall sheathing, siding installation, wood box assembly, and fencing. It shoots 21-degree nails ranging in size from 2 to 3-1/2 inches, and features a 360-degree exhaust, air filter and anit-dust cap. The body of this gun is constructed of die-cast magnesium for low weight and durability, giving it the same feel and dependability as the most expensive guns on the market. The PFR2190 also has interchangeable triggers for single or contact firing. The cylinder is constructed of anodized aluminum and oil-less Teflon o-rings for extended life. 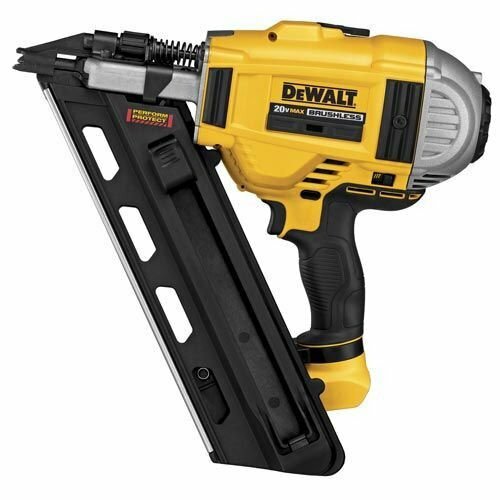 The DEWALTÂ 20V MAX XR Brushless 2 Speed Nailer uses the power of a brushless motor to drive in nails anywhere from 2 inches to 3-1/2 inches long. With two operating modes, you can use your tool in sequential mode, for precision in placement, or bump mode, which provides speed for finishing quickly. 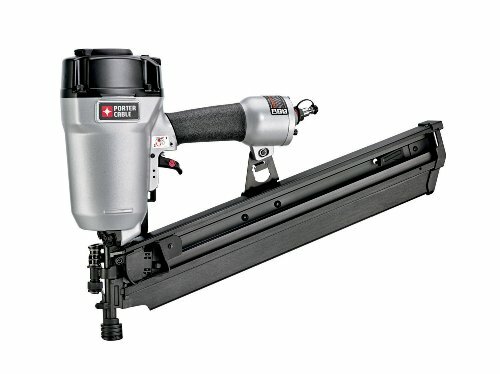 The dual speed option on this cordless nailer also allows for the use of different nail lengths. For safety, there is a trigger lock to disable the trigger when the tool is not in use. The top cap of this DEWALT nailer is impact resistant, for your peace of mind, and removable, for easy machine troubleshooting. The nose cap is similarly easy to access to remove jammed nails safely and simply. Weighing in at 7.7 pounds, this cordless nailer is heavy duty and will be fine on tough jobsites. Weighing just 7.3 lb., the lightweight and well balanced FramPro 901XP is the ultimate framing nailer. It's compact size allows it to fit easily between studs and joists. Uses up to 15% less air than other competitors tools due to a highly efficient internal design. Patented True Drive magazine reduces jams and misfeeds. Patented switchable trigger and drive selector allows the operator to easily switch between contact and sequential fire modes. Shoots 34 degree clipped head paper collated framing nails from 2" to 3-1/4". Porter-Cable FR350A 3-1/2-Inch Round-Head Framing Nailer Kit has all the power you need to drive round-head framing nails into engineered lumber. Its compact body is well-balanced for a natural feel, and its user-friendly design allows for fast reloads, tool-free adjustments, consistent power, and more. 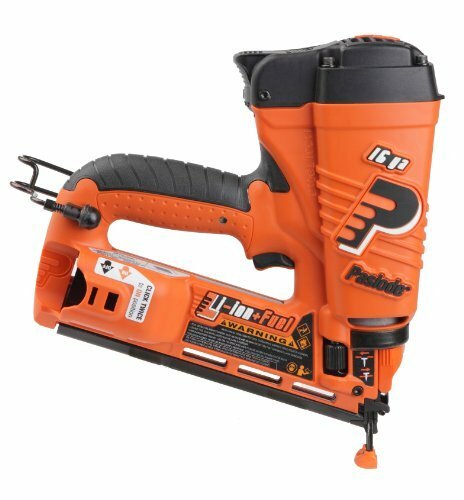 Powered by an operating pressure of 70-120 PSI, the FR350A supplies the necessary raw power to sink nails fast. Internal piston mechanism, so its power remains consistent throughout the job, which means you'll enjoy smooth, trouble-free operation. For additional flexibility and versatility, a selectable trigger lets you choose restrictive or contact-actuation modes. For convenience, tool-free adjustable depth-of-drive eliminates guesswork with detents for proper nail-head setting. A great time saver, this framing nailer has an in-line, hard-coat anodized magazine that holds up to 64 nails. To keep you on track, a nail lockout mechanism lets you know when it's time to reload. The reloads themselves are quick and easy thanks to the bypass nail pusher. And to save you even more time, a tool-free adjustable exhaust minimizes downtime. An added bonus, a removable non-marring nose tip offers on-tool storage to helps keep you from dropping or losing nails. The WEN Clipped Head 34 Degree Framing Nailer effortlessly shoots 30 Degree to 34 Degree paper collated fasteners anywhere from 2 to 3-1/2 inches in size. With a lightweight aluminum body and a comfortable rubber-grip handle, this tool is the perfect companion for any framing job. Just plug in your favorite air compressor and start nailing. The WEN Framing Nailer features adjustable exhaust and operates at anywhere from 70 to 120 PSI with a 1/4 inch NPT air inlet fitting. The spacious magazine carries up to 100 fasteners while the quick-load design makes set-up a breeze. The kit includes oil, adjustment wrenches, safety glasses and a custom carrying case for convenient storage between jobs. I hope this list of the best framing nailers was helpful.